The economical choice for solid protection against cuts and abrasions. Polyurethane palm and finger coating provides a sturdy, durable grip in both wet and dry applications. Flexible material remains breathable and lint-free. Laundry-safe and easy to clean, with no loss in cut resistance. Style: Cut-Resistant; Material(s): Nylon; Polyethylene; Spandex; Color(s): Gray; White; Size Group: Large. Polyurethane coating for maximum wet and dry grip. 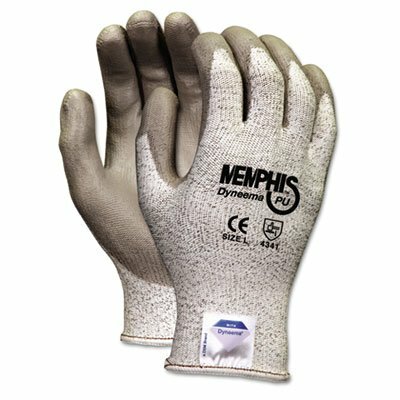 If you have any questions about this product by Memphis, contact us by completing and submitting the form below. If you are looking for a specif part number, please include it with your message.